While the search for dark matter particles often hits the news, there are also efforts underway to detect dark energy particles. As with dark matter, the experiments thus far have largely determined what dark matter isn’t rather than what it is. There are two basic ways to account for dark energy. One is known as the cosmological constant. In this model, dark energy is an inherent aspect of the structure of space and time. Thus, throughout the universe there is a constant, uniform expansion of spacetime that gives the effect of dark energy. This model is the simplest way to account for dark energy, as it’s just a matter of adding a term to the usual general relativity equations. It also agrees with observations so far. But simply adding a term to your equations seems like a bit of a tweak model. 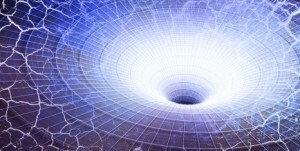 General relativity doesn’t require a cosmological constant, it just allows for one. There’s no reason why there should be such a constant other than the fact that it fits observation. So lots of alternatives have been proposed. The most popular type of alternative is to propose some type of scalar field. 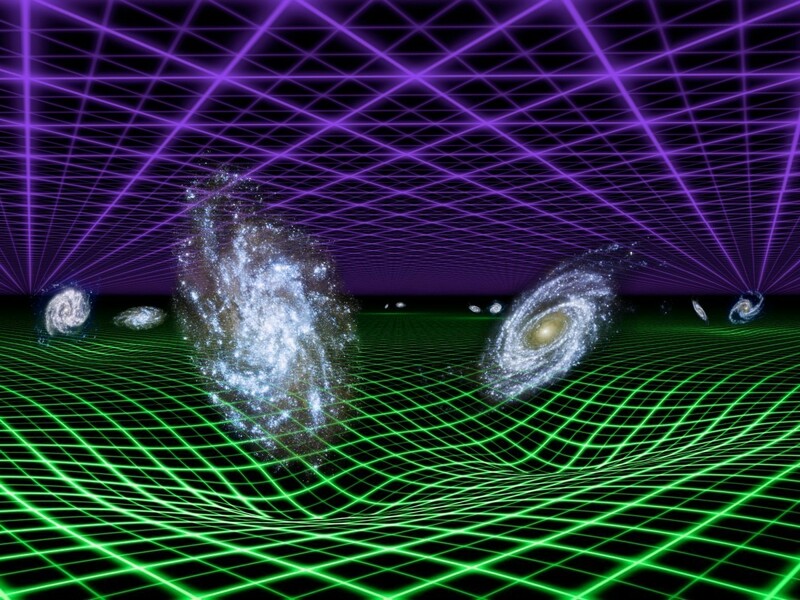 The idea is that the universe would be filled with a scalar field that results in dark energy. That may seem even more crazy than a cosmological constant, but the Higgs boson is a result of a scalar Higgs field introduced to account for particle mass, and we’ve actually detected it. There are several variations of the scalar field idea, but most of them can’t be tested using current data. But one version known as chameleon fields has just been tested, and failed the test. The basic experiment. Credit: Paul Hamilton, et al. The chameleon field is a “fifth force” field that interacts with itself to produces the effects of dark energy in deep space, but also gets inhibited by the presence of mass. In this way you get cosmic expansion between galaxies, but you don’t see its effect in galaxies (or in our solar system). Since the presence of mass makes it “hidden,” it acts as a kind of cosmic chameleon, hence the name. Normally I wouldn’t put much credence in a “just so” model like this, but a few months ago it was demonstrated that the model could actually be tested. 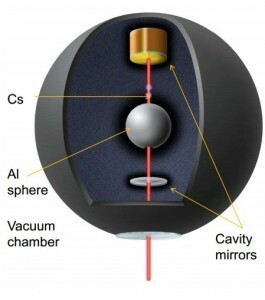 Because of its chameleon effect, the field could be “trapped” within a vacuum cavity. By making the matter in the chamber as little as possible, the chameleon field would strengthen in the chamber. As a result, the effective gravitational force within the vacuum is altered. Using an atom interferometer (basically a double-slit experiment using atoms instead of electrons) the change in gravity could be measured. What the team found was that there was no measured effect to the limits of their experiment. This basically rules out the chameleon field and similar models. There’s still a few ways the model could be tweaked to still exist within the limits of this experiment, but it doesn’t look good for chameleon fields. That’s not particularly surprising, since most proposed models will be wrong. What makes this interesting is that we’re now actually testing dark energy models in the lab. A similar experiment with neutron interferometry has been reported almost simultaneously!